Hi! 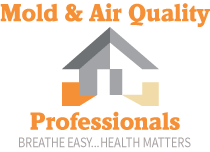 Welcome to our new Mold and Air Quality Professionals Blog! We will be posting on here every few weeks regarding our business, the jobs we do, and common questions customers ask. We hope you will find the blog both informative and useful. Interestingly, we find the most common spot for mold to grow in a home is the attic. Mold tends to grow when there is moisture intrusion or high humidity (above 60%). Moisture can seep into an attic through a roof leek or a bathroom vent that leads directly to the attic. Another major cause for mold in an attic is improper ventilation. A properly ventilated attic consists of roof vents, soffit/ overhang vents, and gable end vents. Ventilation, leak prevention, and humidity control are the best ways to prevent your attic from growing mold, but if it does, no worries. We are here to help. This morning we completed an attic job in Monroe, Michigan. There was a considerable amount of mold growing in two separate spots on the rafters and roof sheeting. We found that the mold was growing just above the vents that led from the upstairs bathrooms to the attic. The attic did not have good ventilation, either: a perfect environment for mold. Following our remediation routine, we got suited up in our yellow Tyveck suits and hazmat masks to climb up into the attic and spray the mold. Now it may seem that the job is dangerous based on our attire, but all of the chemicals we use are hospital grade and EPA approved. After spraying the visible mold in the attic today, we filled up our fogger with chemical and fogged the attic. (Again, the chemical used in the fogger is hospital grade, EPA approved, children and pet safe.) Following the attic, we fogged both crawl spaces in the home, the basement, the main level, and the upstairs to ensure the airborne mold spores were eliminated. Our job was complete. Immediately after the fogging the house was safe to go into, but we recommend the family stay out for at least 30 minutes for the fog to settle and the air to return to normal.